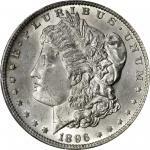 1896-O Morgan Silver Dollar. MS-64 (PCGS). Gold Shield Holder.An outstanding example of this challenging New Orleans Mint issue. 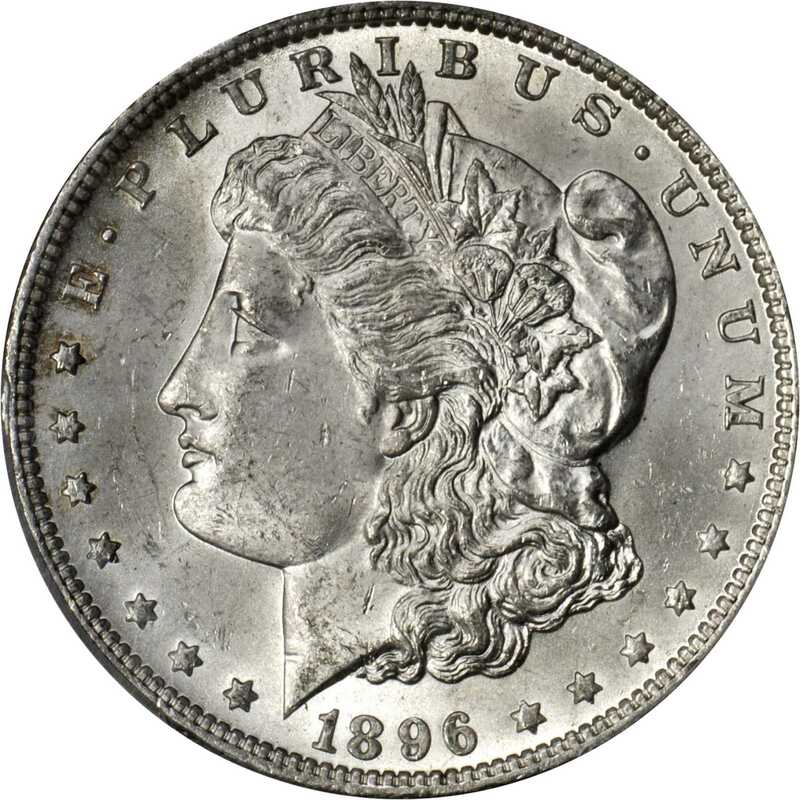 The strike is truly remarkable in an 1896-O dollar, the detail razor sharp throughout to include crisp delineation between the hair curls over Libertys ear and the eagles breast feathers. Luster quality is also outstanding with a soft satin texture that is smooth enough to support the coveted Choice rating from PCGS. Untoned apart from subtle reddish-gold highlights in isolated peripheral areas, this gorgeous coin would serve as a highlight in even the finest Morgan dollar set. 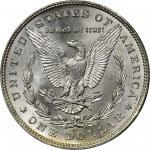 With a mintage figure of nearly 5 million pieces, examples up through Choice About Uncirculated can be obtained with minimal effort and expenditure. 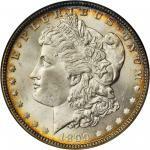 In spite of the liberal production figure, the vast majority of coins were subjected to circulation and relatively few pieces were hoarded in Treasury vaults. 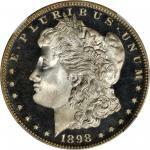 Choice Mint State pieces are relatively elusive in the marketplace, with true Gems remaining virtually unobtainable. 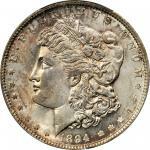 The present MS-64 represents a significant find for the advanced collector specializing in Americas favorite silver dollar series.PCGS Population: 30; 3 finer in this category (MS-66 finest).